Our organization is a prominent manufacturer and supplier of Household Plastic Products, Thermoware and Microwave Accessories. 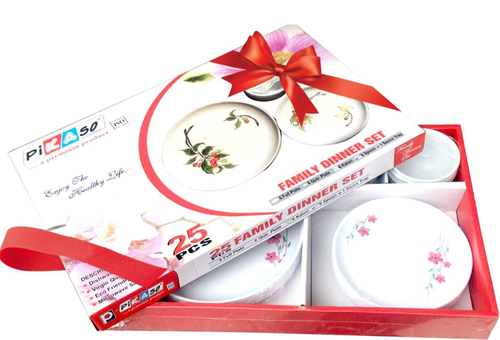 These are known for their features such as light weight, durable and easy to wash.
Our organization is a reputed manufacturer of Household Plastic Products, Thermoware and Microwave Accessories. The range of products offered by us is fabricated using superior quality raw material, which is procured from the reliable vendors in the market. this in turn ensures that the entire range is manufactured in accordance with the international quality standards. Our vast range includes Plastic Air Tight Containers, Plastic Printed Containers, Bread Boxes, Plastic Kitchen Boxes, Plastic Sweet Boxes, Multi Purpose Household Containers, Thermoware Utensils, Plastic Travel Jugs, Insulated Tiffin Boxes, Insulated Lunch Boxes, Insulated Flasks, Insulated Casseroles, Commercial Water Jug, Microwave Plates, Microwave Round Plates, Microwave Square Plates.